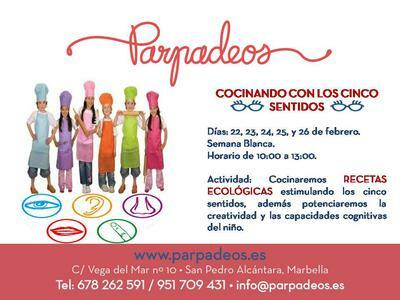 Parpadeos will be hosting a Camp from 22 Monday to 26 Friday from 10:00 to 13:00. Activities will include cooking ecological recipes. Post your own submission to the Marbella Community! It's easy to do. How? Simply click here to return to Events - Holidays/Special Days and Descriptions.